Hamamatsu Photonics is a leading manufacturer of devices for the generation and measurement of visible, infrared, and ultraviolet light. These devices include photomultipliers, photodiodes, infrared detectors, image sensors, scientific cameras, and light sources. Hamamatsu Photonics also offers x-ray detectors and sources, as well as specialized photometric systems for semiconductor manufacturing, pharmaceutical development, nondestructive inspection, and academic research. A list of some of the products can be found here: Key Technology and Products. 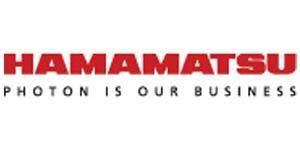 Optek is proud to announce that since March 2016 Optek is an authorized distributor of Hamamatsu Photonics products in Latvia. For more information visit www.hamamatsu.com or contact us at info@optek.lv.